Dimensões desta antevisão em PNG do ficheiro SVG: 800 × 400 píxeis Outras resoluções: 320 × 160 píxeis | 640 × 320 píxeis | 1 024 × 512 píxeis | 1 280 × 640 píxeis | 1 200 × 600 píxeis. 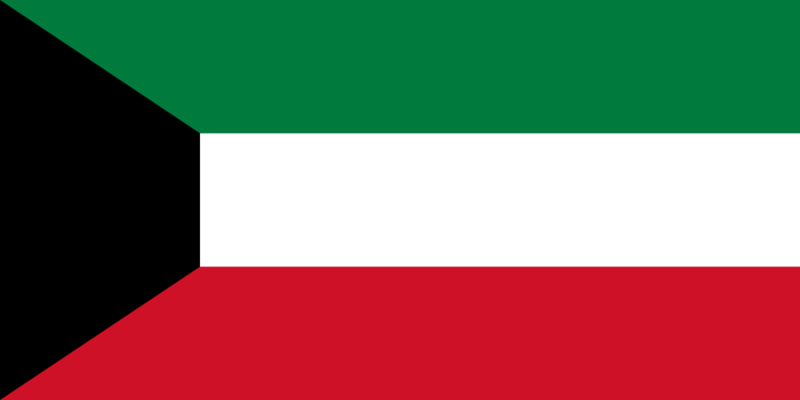 16h35min de 31 de julho de 2010 1 200 × 600 (4 kB) Kaiser Torikka I made the green colour darker to match with the CIA world factbook and photos of the flag in Kuwait or abroad. A picture of the Kuwaiti football team was also used as reference. 08h16min de 28 de março de 2007 1 200 × 600 (309 byte) Fibonacci Simplified code.